We regret that Random Lyrics Thursday, one of our most popular features*, was not published yesterday. We recognize that our readership has come to expect a high level of quality from us, and we will strive to maintain that level of quality in the future. The individuals responsible for this kerfuffle have been sacked. *based on a random survey of the objects on my desk. We subsequently found the flyer on Diffy Productions' myspace site. Unknown if another band printed it out and hung it at Frankensound or if Diffy Productions goes around hanging flyers. Either way, pretty cool to see someone else promoting our show. Speaking of which, come see our show on Saturday! 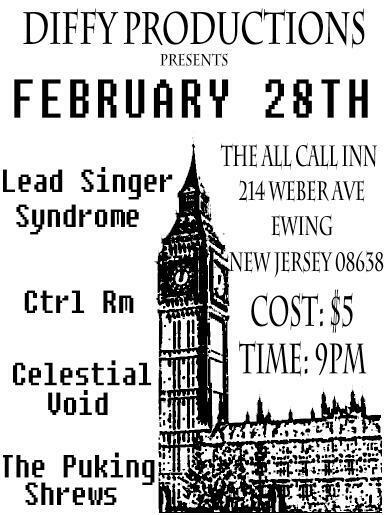 It'll be almost a reunion tour type of show, with Control Room (actually now renamed and reformed as the Deadbeats, with a cool sound that reminds me of NoMeansNo) being a band that we played with at the Blue Room and Celestial Void being a psychedelic/classic rock cover band that we played with at Band Fest. And Celestial Void's drummer is in the Puking Shrews. But we'd also like our friends there! Also potentially a special surprise, with the Syndrome possibly being cured, at least temporarily. What does THAT mean? Come find out! 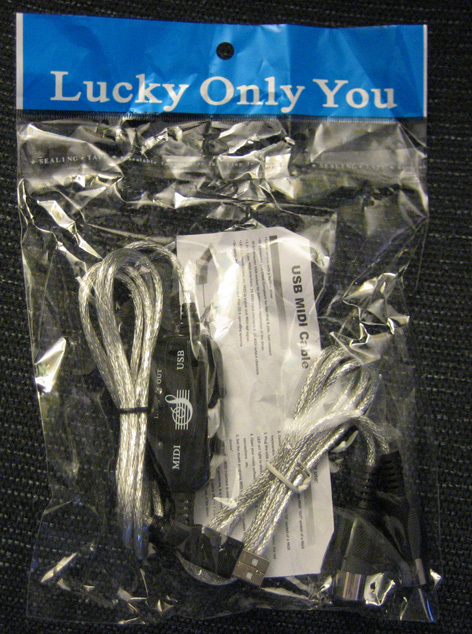 A MIDI to USB cable goes for about $30 on MusiciansFriend.com. I found one for $6 at an Amazon Marketplace store. I figured with that much of a price difference, it was worth trying even if it turned out to be a dud. It arrived yesterday. I haven't tried it yet but i can say that i am quite pleased with the packaging. It makes me feel very special. Improve your listening experience with... wood. We love M.I.A. here in the SuperMegaMonkey household, but, as the voice of your conscience, we've just got to ask - honey, what's got into you? Ahhhhhh, hmmmmmmm? I'm going to attribute the decision to purchase and subsequently wear this outfit to an advanced form of "baby brain". I was, however, quite impressed with her ability to dance around during her performance at the Grammys while her baby's birth was imminent. Quite frankly, i'm surprised her baby didn't fall right out during the number.